Geryon had three heads and three bodies with a total of six arms. The three bodies were joined to one pair of legs, but apart from this weird feature, his appearance was that of a warrior. He owned a two-headed hound named Orthrus, which was the brother of Cerberus, and a herd of magnificent red cattle that were guarded by Orthrus, and a man named Eurythion. 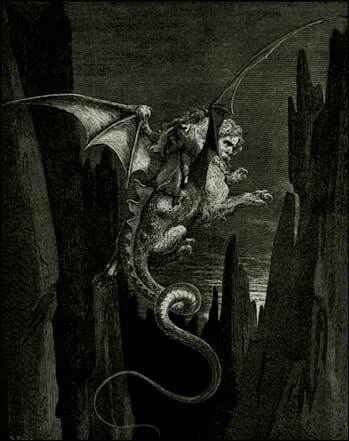 The Geryon demon is a male demon.